Eugene Dispensary, Green Health Eugene, says they set themselves apart by providing their patrons with top-notch goods produced straight from local grower, Multi Top Farms. Eugene, Oregon- Local Eugene dispensary is spreading the word in the importance of knowing where your cannabis products come from. Green Health Eugene, who is the Eugene area’s favored pot shop, even takes the relationship between shop and farm a step by actually getting all of their amazing products from their own cannabis farm, also located in the Eugene area, (just 2 miles from the shop). Located just off of State 99 North, in the infamous green house, (across the street from the Dairy Queen and Advanced Auto Parts), Green Health Eugene is favored by local recreational marijuana patients because of their friendly, patient staff, huge selection, and competitive prices. The marijuana menu listed on the website https://www.greenhealtheugene.com/menu showcases the dispensary in Eugene’s incredible and vast selection of strains. The menu features both Indica and Sativa strains, from Kosher Dog to Blueberry Muffin and Lemon Kush, there is something for every stage smoker and every customer craving. Green Health Eugene also appears to have an impressive selection of concentrates and extracts as well as many other goodies. In fact, the Eugene dispensary even has 2 full bud rooms, ensuring their customers don’t feel rushed to make a decision. According to Pitt, many customers are turned off by some dispensaries in the area who pressure their patrons into choosing what they want and not taking the time to properly answer their questions and make recommendations based on the customers’ needs. 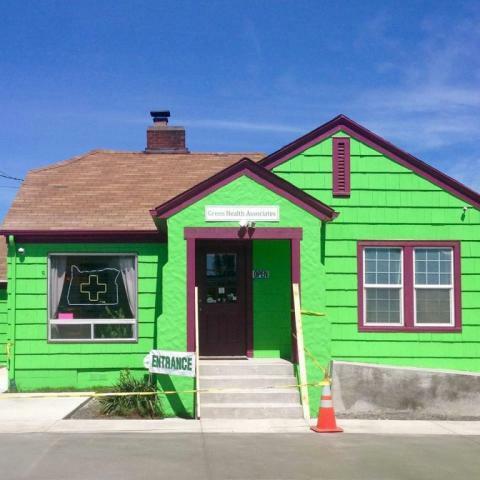 The Eugene dispensary is located at 607 State Hwy 99 N, Eugene, OR 97402, and they can be contacted at (541) 357-5973.